The sheriff of Justice, Illinois, is hunting a killer. Women visiting town are being murdered, tourists in nice hotels, money still in their billfolds, jewelry still on the dresser. Quiet killsthey go to sleep and never awaken. The sheriff is not pleased to find the new detective in town, Rae Gabriella, working the case on behalf of one of the families. She's staying in the same hotel as one of the victimsand her looks suggest she could be the next victim. Former FBI agent Rae Gabriella's new beginning almost becomes her final ending in Dee Henderson's new suspense novel, Before I Wake. After an undercover operation goes tragically awry, Rae accepts a job as a private detective with her former boyfriend, Bruce Chapel, in the town of Justice, Illinois. Justice is usually a quiet Midwestern town, but a contract dispute between the union at the local tile plant and the management has the town on a razor's edge of violence. When a young Chicago reporter dies in her hotel room, Sheriff Nathan Justice is both relieved and uneasy about the coroner's report. As if that isn't enough to handle, his grandfather, Henry, likes to drive his sporty new car fast and refuses to tell the family where the money came from, making him doubly Nathan's problem. The death of a second young woman with the same vague cause of death raises the fears of the police to a new level. The evidence points to natural causes, but the coincidence suggests murder. 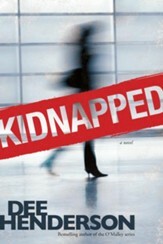 When the reporter's parents request Rae's aid in determining who killed their daughter, Rae agrees, not realizing that she has made herself a target. Her investigation into what the reporter was researching leads to a third body and an illegal drug designer. But how is he getting the drugs to the victims? How long before his system is perfected enough to become the lawman's newest nightmare? How does Rae keep from becoming a victim? 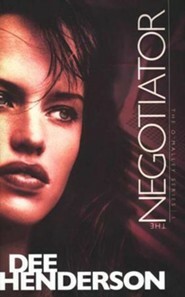 While still an enjoyable read, Henderson's latest book doesn't maintain the tension that she's known for. In reaching for depth in her characters, which I felt she achieved, she left us with a couple of slow-moving stretches of dialogue. The investigative action felt more realistic than in many detective books because the whole community is suspect. She achieves the small town feel of the setting well. 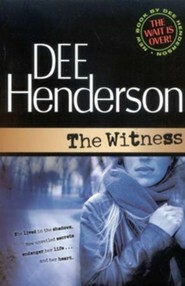 Q: I loved this book (Before I Wake, by Dee Henderson). When is the sequel coming out? Unfortunately, there is no sequel available nor is one currently in production. That's all the information we have at this time. I'm the author/artist and I want to review Before I Wake.